This would be a pretty lame blog post if I said you can AirPlay through XBMC wouldn’t it? The answer is you are right! That would be lame if it was that simple. But it does not even work on Ouya! 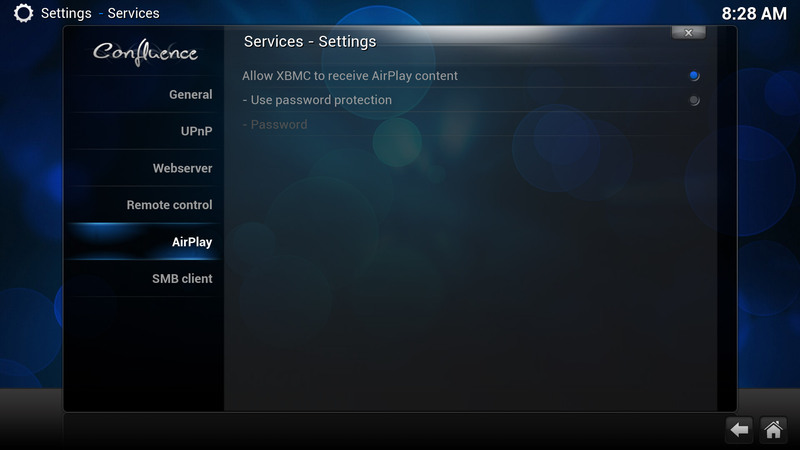 AirPlay through XBMC was already temperamental at best because it also relied on a service running in the background on other ARM architectures such as the RaspberryPi. But the truth is clicking this option in XBMC does absolutely nothing. The XBMC development staff wanted to focus more on stable video playback on ARM devices such as the Ouya more-so then the services that surround XBMC. Which is a good choice for their time! There’s still a few MKV files that I have such as the “End of Evangelion” which look like it was drawn with crayon on my Ouya instead of sharp lines! 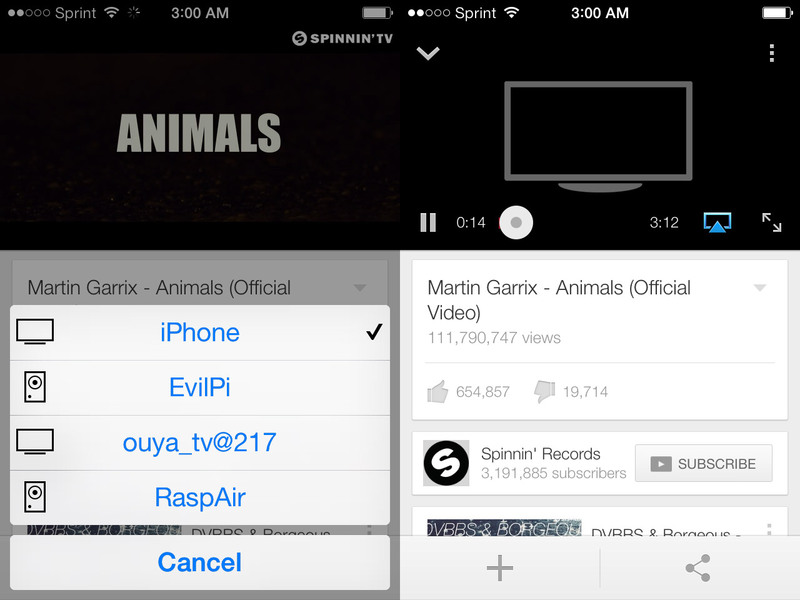 Queue the AirPlay/DLNA Receiver for android/Ouya! 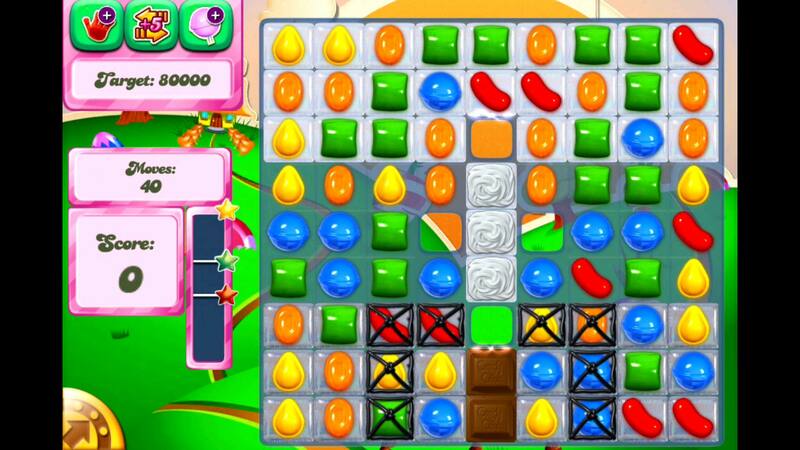 Click here to be taken to the GooglePlay link for the lite version! For Ouya users I placed a link on the right-hand side to allow you to download the lite/free APK version right from Waxrains website! It’s important to check out their downloads section as they have DNLA client senders available for free there as well! You will not find a cracked or pro APK for this program I am about to mention here! Waxrain software does run verification checks against your Google Play account to ensure that you’re a legit user of their software! Even if you managed to find someone which has removed that method of protection out of the APK file Waxrain also updates their program very frequently! You are only wasting your time downloading a APK that you may THINK is legit. This website that all of these pirate sites are linking to is nothing but a review/blog site about the operation of this program on the Ouya system that was purchased and paid for with my Google Play account because Ouyas can do that. Waxrain does provide a free version of their software that you can try here so there really is no excuse to go to retarded sites that are only trying to capitalize on ad-click revenue. The only reason why you would want to keep an AppleTV at the time of this update is if you are the kind of person who does not want any hassle. Who does not want to deal with fighting with APKs , rooting your Ouya, and configuration of various programs to replace all of the features that you would otherwise have with the Apple TV then you would hate it. Apple works with Apple and works right out of the box. However, if you are a guy like me that wants to have the one set-top box that can rule them all, Ouya and other android based desktops for your TV is the solution for you with the right kind of apps. Most games play at around 20-25 fps on the Ouya doing AirPlay Mirror. As for what I am going to do personally? Well! My AppleTV 2nd gen sold on Ebay for $108.00 w. shipping! Once AirPin by WaxRain Software updated their app to give me the last features that I could not emulate on my Ouya. There was simply no sense in me keeping the Apple set-top box. With the added Bonus that I can also do DNLA streaming through the PC if I wanted to do some sort of presentation. It also retains all of it’s original functions as I have sent YouTube videos over to your Ouya and have tested SoundCloud and WinAmp on it. All of them played without issue which is exactly what I wanted out of the AirPlay function on my Ouya. Configuration of this app is unbelievably easy on Ouya! Just install the APK from GooglePlay. And launch the program so that it can install itself as a service on your Ouya. Once that is done then all configuration can be done with your joystick! No need to even touch a keyboard. If you like the program then purchase the software on GooglePlay with your PC and then download it with your Ouya, GooglePlay should keep your program up to date whenever you launch that client on your Ouya without any further issues. Differences between the free version and the pro version. The free version crashes when I attempt to DNLA stream my windows PC desktop with their client provided software. Also, the free version nags you for a grand total of 3 seconds when playing YouTube footage saying that this is the free version and to upgrade to Pro for more options. The truth is, if you can tolerate the 3 second warning message and you are not running any PC-Sync DNLA then the free version is perfectly fine! Show me it working on your Ouya! 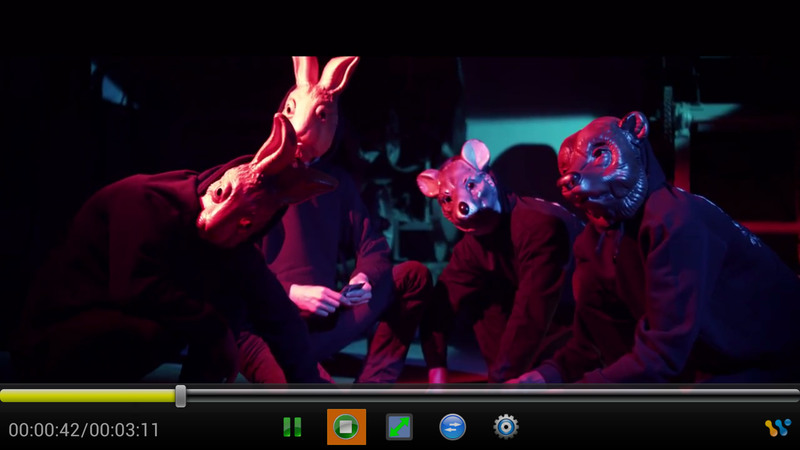 This is a screen capture from a YouTube Video Martin Garrix – Animals (Official Video) being played on my Ouya streaming from my Iphone 4S IOS7. I’ve choosen this video to illustrate something. This YouTube clip was the first YouTube video that can do full-tilt 4k video! However, when streaming from my IPhone I am limited to 720p and that is it! This could be a limitation of the YouTube client on the phone. Or possible the maximum amount of bandwidth I can send via AirPlay. Either way it’s something to take note for those thinking your going to get a perfect picture via the AirPlay protocol to ANY apple receiver product. Not just AirPin! 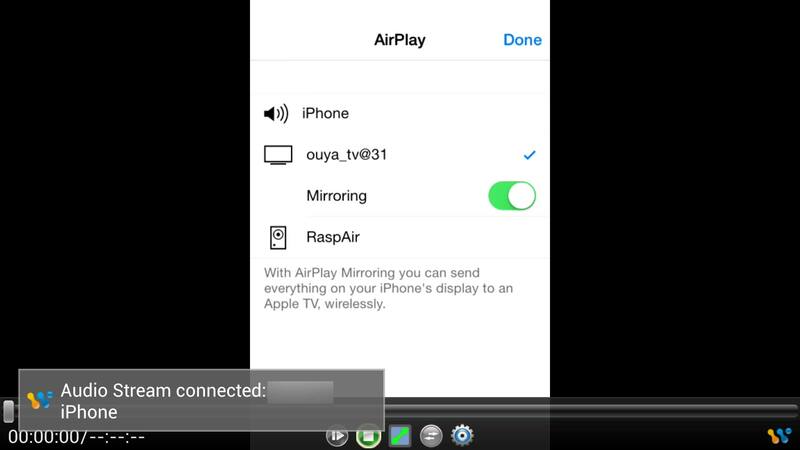 As you can see my Ouya shows up as a AirPlay video device unlike my two Raspberry Pi’s that I have which show up as Audio only. Once I click it it shuts off the display on my Iphone and transfer it to the image you’ve seen in the example above. What about DNLA Mirroring, How does the AirPinPcSend hold up? 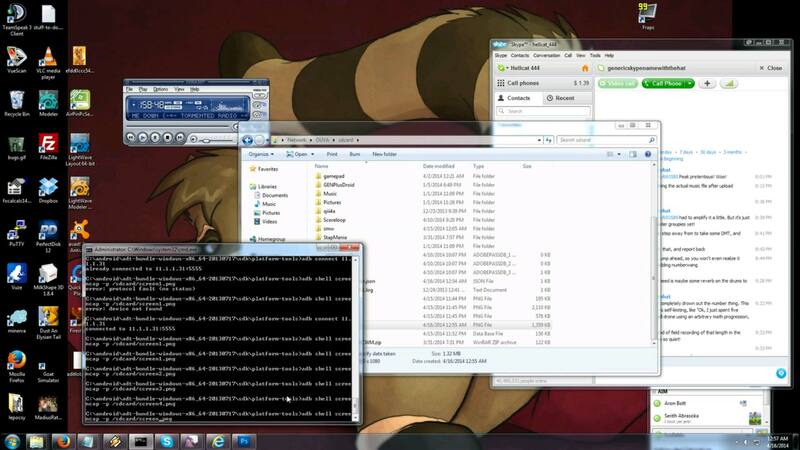 Screenshot from the Ouya showing my PC Desktop. As I mentioned within this article. The Free version of AirPin does not like doing this feature and will often crash on the Ouya. However, the pro-version works. How’s the quality you may ask? Well, my PC Monitor is at 1920×1080, the Ouya is at the same resolution. With both units at the same resolution and with the option of the “Encode Setting” within the AirPinPcSender utility set to High Quality. It’s still a little blurry around some of the desktop text characters and runs at around 5fps. Perhaps if I set it to a lower resolution it would work a little better. For those interested in downloading the AirPinPcSender tool. simply to go WaxRains website to download the client for this. You talk a lot about WaxRain’s AirPin, Is there any alternatives of this program for Ouya? Well, there’s another program that Ouya users like called “Reflector” and Google Play link is right here. Amazon App store link is also available as well! 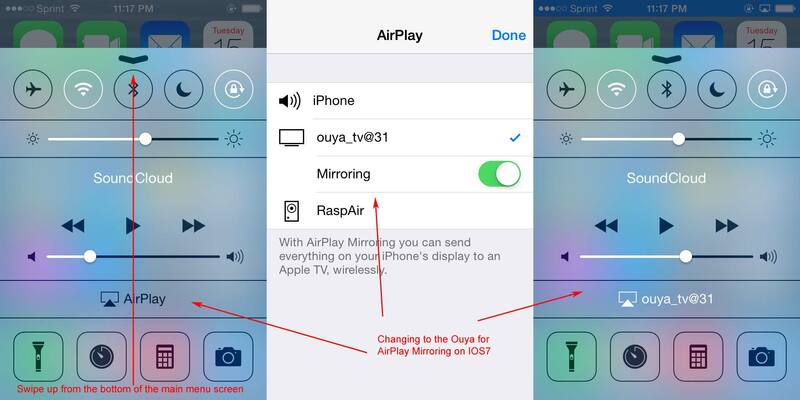 Reflector is also an AirPlay mirroring tool however it does not have the additional DNLA features that Airpin has. Also it has been reported that Reflector only works with Ouyas Ethernet where-as AirPin works on both Ethernet and wireless card. Since reflector is a stand alone mirror tool it may not crash as much as AirPin does because it doesn’t have to worry about all of the different protocols coming at it (Audio only stream, Video only stream, Mirror Stream, DNLA stream, etc). Reflector also does a little bit of screen-tear when you move objects around on your desktop or activate a browser on it. On top of that Reflector is more pricey then AirPin and does not come with a free demo mode to even try and see if it works. I did not recommend Reflector for the reasons listed above and continue to stay with AirPin. The moment where you can bridge different platforms protocols to make a unified system which can save you ports on the back of your LCD-TV units like the Ouya combined with software like AirPwn is something which is truly magical. A powerful combination of apps from GooglePlay giving AirPlay support, Coupled with the apps between GooglePlay and the Ouya Store , XBMC (Espechally with the Navi-X code, IStream, and MovieTime, youtube plugin and winamp), Crackle, NetFlix, Hulu+, pandora, IheartRadio, TuneIn and all wrapped together for $100. You have a multimedia force to be reckoned with! Another thing that should be noted is the overall performance of AirPlay is based solely on how much data your android you’re using as a receiver. The Ouya for a time was very good for the job. However, as streams being higher and higher bitrate performance may degrade over time. Also, compatibility falls apart on this unit because of the introduction to WebM video streaming technology. Both problems can easily be solved with a faster android set-top unit with gigabit connection and better processor power. I wanted to thank the team at WaxRain software for letting me test out their latest beta of AirPin before it hit the Google Play market. They are a software group which truly cares about the product and the people that use their software. Apowersoft iPhone Recorder is a way better than this one. Why ? Because when you record it.. you click the apps first and the recorder does that a little bit delay 2 or 3 seconds behind. Apowersoft iPhone Recorder which I am using right now.. I click the apps and recorder does that at the same time. No delay! Yes, its free! It’s nice but there’s some issues. If your primary display TV in your living room has a PC or Mac hooked up to it then your golden. And yes it even has an android client version. But no where on their site do I see an Android Daemon where you can accomplish the same task as streaming from an I-Phone over TO an android set-top box such as Nvidia Sheild or the Ouya. But still! It’s a good app to know about for people who have the conventional Media Center PC hooked right to their living room flat panel.